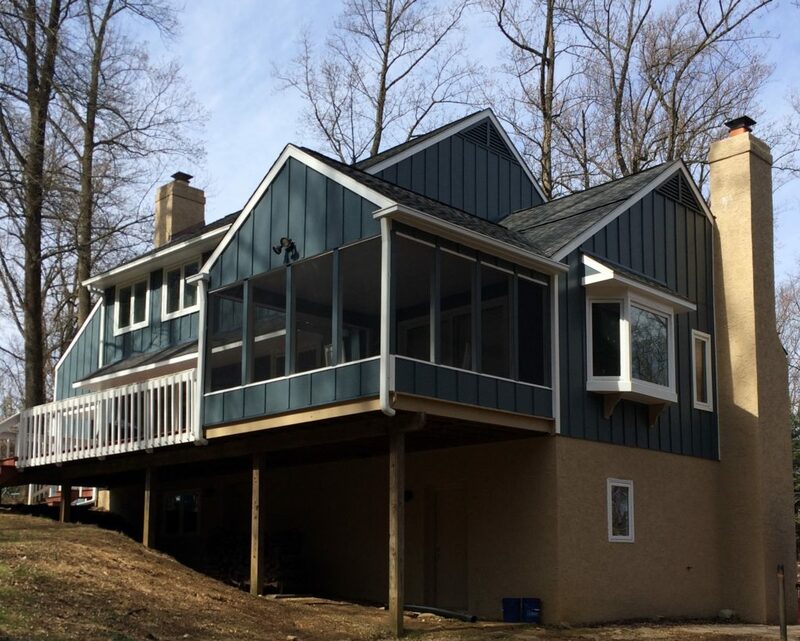 Global Home Improvement is a family owned and operated window, siding, and metal roof replacement contractor serving Deal, NJ for over 15 years. As an Owens Corning Platinum Preferred and James Hardie Elite Preferred contractor, we have access to the best products in the industry from leading manufacturers. We are also experts in several other types of roofing ranging from asphalt shingles to metal roofing. If it's time for a roof replacement or a brand new roof installation in Deal, we are the roofers you can depend on to keep your home safely covered through wind, snow, and rain! To learn more about metal roof replacement cost call or click today! Asphalt roof installation with aluminum chimney flashing in Allentown, PA! We take great care when installing flashing to make sure you won't have to deal with any surprise leaks!